There is not much that is known about hypertension and this is definitely a shame since we are faced with a condition that is highly disturbing due to what it can lead to. Unfortunately, people end up faced with this condition and do not even know it. That can so easily lead to death, which is why you have to be sure that you gain the knowledge that is needed. 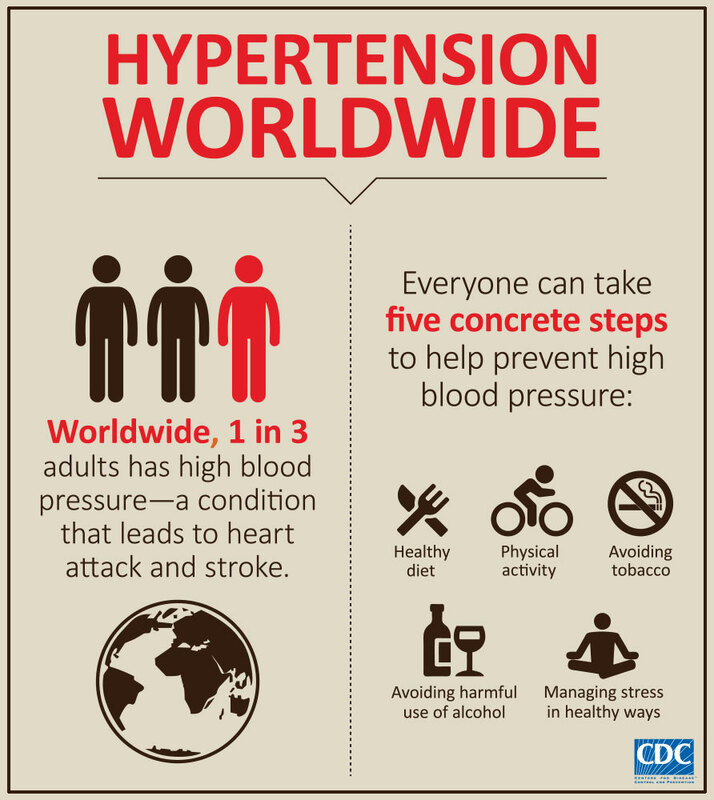 The Hypertension Worldwide infographic below was created by the CDC and it highlights something that is incredibly important: 1 in 3 adults currently suffer from hypertension. This is a condition that can so easily lead towards heart problems and strokes. If you take a look at the number of people that die every single day in the US and all around the world because of heart problems, you will be surprised. The number is so much higher than what many believe at the moment. Just look at the stats and you will instantly figure out that you have to do something about it. The really important part of this infographic is what is listed on the right side. You can easily learn the things that you can do in order to reduce the possibility of being faced with hypertension. We all have to be extremely careful with stress. They do not call stress the silent killer for nothing. People do not know that they are too stressed and when this happens, it can lead towards death. Take a look at all the other things that can be done in order to help deal with hypertension and it is a certainty that you would be able to improve the quality of your life. 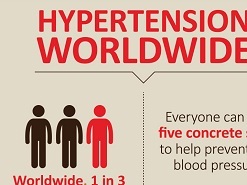 Obviously, the Hypertension Worldwide infographic below is not all that you need to know. It only highlights some facts that are important but there are many others that have to be taken into account. Hypertension is something that is really important. We all need to know all that we can about hypertension and about all the conditions that can negatively impact our health. NEXT POST Next post: What Happens One Hour After Drinking A Can Of Coke?